Fourth of July is one of my favorite holidays because I love celebrating our nation’s birthday, and who doesn’t love a fireworks display!?!?!? I was just researching which event I wanted to attend and found that there are festivities located all around the area so I thought it would be nice to share with all of you. There are events included for Delaware, Maryland, Pennsylvania, Virginia, and Washington, DC—everywhere that Koons sells cars! 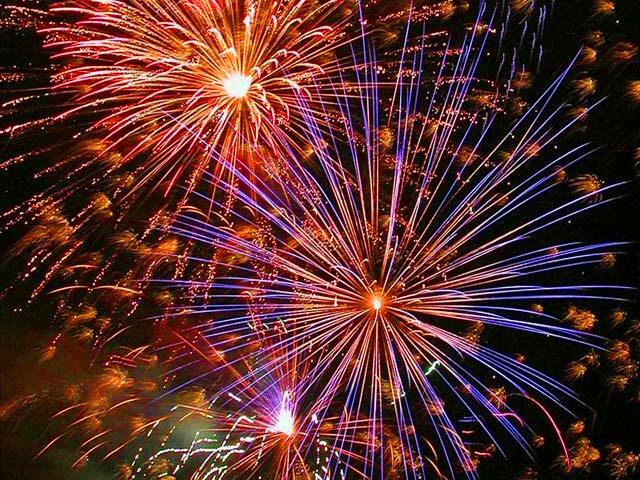 Most fireworks start at dusk on July 4th, and many have rain dates scheduled for the following day. Dover-Over Legislative Hall downtown. See Dover4thofjuly.com for details. Newark-University of Delaware Athletic Complex on South College Avenue. Call 302-366-7060 for more information or visit Newark’s website. Rehoboth Beach-Along the beach and boardwalk. See downtownrehoboth.com for more details. Baltimore-Over the Inner Harbor. Call 877-Baltimore or visit mdisfun.org for details. Bowie-Allen Pond Park-call 301-809-3078 for more information. Prince George’s County Stadium—301-805-6000 for details. Chestertown-The lagoon on Johnson Hanson Road. See Chestertown.com for more information. College Park, University of Maryland. Frederick-Baker Park, Second, and Bentz Streets. 301-228-2844 for information. Fort Meade-Routes 175 (Annapolis Road) and Reece Road. Gaithersburg-Montgomery County Fairgrounds. Call 301-258-6350 for more. Georgetown-Fireworks can be seen by boat or on the banks and piers of the Georgetown Marinas. Check out events on Kent County’s website for more details. Germantown/Boyds-Germantown Soccerplex. Call 240-777-6820 for details. Greenbelt-Buddy Attick Park. 301-397-2200 for more. Havre de Grace-Union Avenue. 410-939-2100 or hdgtourism.com for more information. Ocean City – Downtown on the beach at North Division Street and uptown at 127th Street. See ococean.com for information. Poolesville Polo Grounds. 301-972-888 for information. Rock Hall-Viewed from the Bay and from anywhere in Rock Hall Harbor. For more information, call 410-778-1342. Chester County-Wilson Farm Park. Call 610-408-3626 or see Tredyffrin.org for details. Arlington-Iwo Jima. Overlooks the fireworks on the Mall. Falls Church-George Mason High School. Fairfax High School-703-385-7858 for details. Herndon-Community Center. 703-787-7300 for details. Leesburg-Ida Lee Park. 703-777-1368 for information. McLean-Langley High School. 703-790-0123 for more information. Manassas-Old Town Manassas Train Depot. 703-335-8872 for more. Mount Vernon-Daytime display of smoke fireworks over the Potomac will be held at 12:45p. See mountvernon.org for more information. Vienna-Southside Park on Ross Drive. Which one will you attend? If anyone notices that I have left anything off, please post additional displays in the comments section. Would love to hear from you! Posted on July 1, 2011, in Automotive and tagged 4th of July, Baltimore Fireworks Displays, Crystal Koons, Delaware Fireworks, Fireworks, Fourth of July Fireworks Northern Virginia, Jim Koons, Krystal Koons, Maryland Fireworks, Wilmington Fireworks. Bookmark the permalink. Leave a comment.